Microsoft Forms is a simple online form/survey creator. It’s simple for end users to put together and share with others, even sharing with external users outside of your organisation. Automate tasks, create workflows, and connect your apps and services for notifications and synchronizing data. For example, when someone completes a Microsoft Form above, you can save the submissions to a SharePoint list, or even a Google Spreadsheet. Flow has various connectors allowing it to connect to a vast array of services, even HTTP REST end points and your own custom code in Azure. 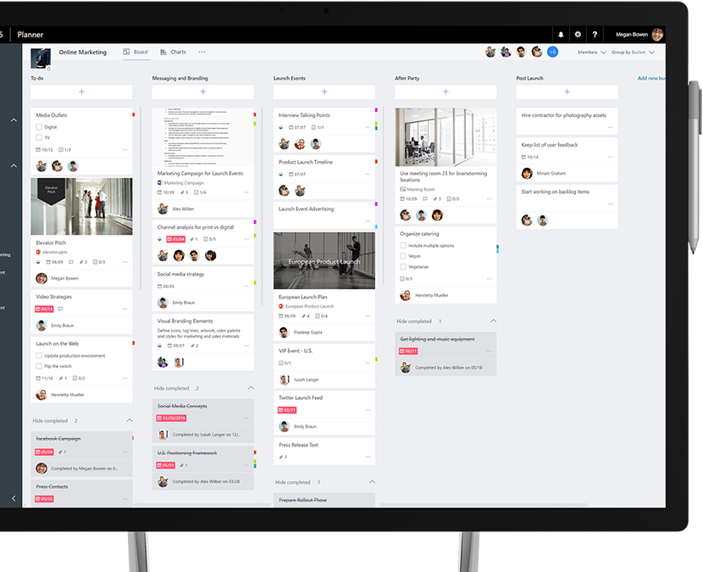 Microsoft Teams is a communication hub that combines data storage (using SharePoint under the hood), meetings (that you can record), notes, voice as well as an enterprise chat function. It’s a great way to reduce the number of emails within a group or project team. With Microsoft Planner you create new plans, even within Teams, as well as assign tasks and share files with other users. Organise teamwork and collaborate on projects in a simple, visual way (in a Kanban style board very similar to Trello). We hope this article has given you some ideas as to how you can make use of your Office 365 subscription. We, at Cielo Costa, are Microsoft Office 365 experts and have helped several SME businesses develop and benefit from the Microsoft suite of applications inclusive of Office 365. Why not take a look through the apps that are available to you (such as MyAnalytics).